On Jan 10th a drama documentary will be shown about the Munich Air Disaster and the Busby Babes. The music to the film is both beautiful and moving has been scored by Glenn and Keith. Have you seen the DKNY ad yet? We are releasing Starshine in Jan, the next in our series of digital release. I'm only human, of flesh and blood I'm made . . . there must have been a time when that lyric from the Human League's US No 1 (the aptly named Human), seemed incredibly prophetic for lead singer Phil Oakey. From being in the vanguard of the electronic music revolution of the 80s, the Human League had all but disappeared by the early 90s. And Oakey, who turned 50 last month, admits there were times he despaired of ever performing again, despite a back catalogue of hits that continue to influence the music scene today. "The Human League never broke up, but basically there was quite a long time when nobody liked us," reflects Oakey ahead of the band's return to the Usher Hall on Tuesday night. "Grunge had come in and taken over and there was a period from 1989 to 1995-ish when it looked like synthesisers had been a flash in the pan. The whole genre was dismissed as a novelty. "We just had to get through that period and luckily, we still had our contract with Virgin at that stage and were still selling CDs. But then everyone big has had a period where things have gone pretty badly wrong for them." Oakey confesses that it was a difficult time him personally and reveals: "There was a fair amount of despair going on then. I sort of had some version of what they used to call a nervous breakdown, where my whole life didn't have an aim. "I think that's what it was. Because I'd decided not to have children, I'd walk in the house and look at things that I'd bought and wonder 'What am I doing this for?' That came just at the point that it looked like no-one was ever going to like the band again. "I saw a few psychiatrists, I did the Prozac thing a couple of times, but now I just think it was about getting used to the fact that I was getting older and settling down. "I've always wanted to fight a bit, I'd never wanted to be comfortable. I found I'd become a person for whom, when I was 22, I maybe would have had contempt." At 22, Oakey had yet to find fame. But it wasn't far off. Formed in 1978, the Human League originally brought vocalist Oakey together with Ian Craig-Marsh, Martyn Ware and Addy Newton. And it was on the Edinburgh-based independent label Fast Product that they released their first single Being Boiled. It sold 16,000 copies and secured them a tie-in deal with Virgin Records. "We had a lot of connections with Edinburgh. It was an Edinburgh record label that put our singles out, our manager was there as were most of our crew and my accountant is still based there," recalls the singer whose trademark geometric fringe has long since been replaced by a more easily manageable style - a shaved head. By 1980 a change of band personnel saw Marsh and Ware depart while Oakey recruited the now familiar faces of Susanne Sulley and Joanne Catherall into the line-up. Bass player Ian Burden and former Rezillos guitarist Jo Callis joined soon after - a short time later they scored their first No 1 as Don't You Want Me? became the biggest-selling UK single of 1981. "We really were out on a limb. Actually we are still right out on a limb. It's really odd but people still don't know what to do with us or what we are," says Oakey. "For a couple of albums we were pretty obscure. A lot of people I talk to now think that we always wanted to be like Abba - they didn't even notice the electronics. But the fact is that when we started we were like the electronic Joy Division. We were that leftfield - more like The Cure than Abba. "We came from the art school side of things and there was a lot of political comment in our songs. But I think our longevity is largely down to the fact that we can go out and perform hit after hit after hit." Some of those hits include Love Action (I Believe In Love), Mirror Man, Tell Me When, Keep Feeling Fascination, Sound Of The Crowd, Lebanon and in 1984, Oakey's solo release Together In Electric Dreams. Today, Oakey, Sulley (now 42) and Catherall (now 43) continue to fly the Human League banner to capacity audiences, discovering that nearly three decades on, the music they pioneered is as popular as ever. "My aim over the last three years has been to make us the best live group there has ever been - but I don't think anyone will ever accept that because we're not rock," says Oakey. "However, I feel like we've gone as far as we can with our current format and that this will be the last time that we do this. "As I said earlier, we've always been out on a limb. At the moment we are a pop band that plays all the songs and now I want us to push it somewhere else and bring the mainstream towards us. "We nearly did - for a couple of years it looked like all the other stuff had been left behind and we were what rock was. "We thought we'd beaten rock, beaten the guitarists, but of course we were wrong." The new album is now being written and recorded and will be released in the summer. The first tracks are sounding wonderful and we are very excited that Glenn and Keith are now able to set time aside from their film scoring commitments to work on the album. Watch out for the DKNY ad for the 'Be Delicious' fragrance airing over Christmas, based on Starshine from their album Sound Echo Location. Sound Echo Location - is a three dimensional album, soulful electronica at its finest, organic and at times nostalgic whilst retaining a contemporary feel, gliding effortlessly from chilled trip hop beats through tranquil ambience to muted drum and bass with layers of acoustic guitar, lavish synth loops, sublime strings and hypnotic vocals. Vision Echo Location - is full of beguiling, intriguing and organic visual soundscapes. Ten captivating and atmospheric films by BAFTA award winning director James Strong created in perfect synchronicity with each track. A complete visual experience which adds greater depth still to this already beautiful album. "Glenn and I sat down together and listened closely to every track and came up with an idea for each one that we thought was appropriate and exciting. We didn't have any overriding thematic notions other than a desire to capture the essence or mood of each song, but they had to engage the viewer and each one had to be unique. I shot them on digital video and super eight over the summer of 2004 and slowly the films began to emerge. We wanted a mix of styles, formats and concepts to give the DVD a real eclectic feel, reflecting the breadth of the songs"
Hi there - some details about the UK release of the new Heaven 17 album - I should have Europe release dates very shortly. Heaven 17 release their new album Before After on September 19 on their own B.E.F. label. Pop melody, disco beats, warmth, exquisite design, soul and electro-funk combine to make this their strongest album since Penthouse & Pavement and Luxury Gap. Theyve even resurrected their self-created business identity British Electric Foundation. To underline the link from past to present to future - the before and after of pop culture, where sometimes the clearest way forward is via a glance in the rear view mirror. Fronted by the crooning, charismatic Rutger Hauer of pop Glenn Gregory, Heaven 17 have one of the most under-rated singers of the last 20 years at their disposal. Meanwhile, Martyn Ware and Ian Craig Marsh have collectively pioneered British synthesizer pop through The Future (The Golden Hour Of The Future), The Human League (Reproduction, Travelogue) and Heaven 17 (Penthouse And Pavement). They are responsible for two of the UKs greatest electro singles - both Being Boiled and (We Dont Need This) Fascist Groove Thang. Last year the event sold out  and this year is expected to sell out even quicker, so I strongly urge you to book as soon as you can. The line up for this years event is the strongest yet, including three new and exciting participants  Brian Duffy, Sarah Angliss and David Bickerstaff (with HMC Medialab) - together with a three-dimensional sound world premiere from Illustrious (Vince Clarke and Martyn Ware) based on the early Human League composition, Empire State Human. The full lineup is on the attached pdf. Fourth lecture in this innovative series - part-lecture, part `hands-on edutainment' evening of examples and discussions featuring the Illustrious 3D sound system in combination with artists and scientic practitioners. Part of the RiArt series - open to all. Booking now at www.rigb.org. Illustrious have been commissioned to create an immersive soundscape featuring over 50 interviews with famous people from the ID archives, creating a sense of a crowded room full of conversation, in an apparently empty space. Illustrious are currently creating a three-dimensional soundscape based on a dramatisation of events surrounding the Black Death sweeping across Europe. The interactive exhibit, created in collaboration with New Angle, will open as part of the revamped Medieval London Gallery in October 2005. The world premiere of a new immersive three-dimensional sound art work will be performed as part of FOS4 (see above) - featuring a spatialised narrative based upon an original 1979 Human League track. will finally be available from the first week of September in the shops and on iTunes. Woo-hoo! For those of you who don't know, Heaven 17 are going to play a PA at the opening night of Rusty Egan's new London club, 'Gold'... and if that's not good enough news on it's own, three lucky winners can win a pair of tickets for the show at RememberTheEighties.com this week - one winner getting a pair of VIP tickets, seating in the exclusive VIP area of the club and a free bottle of champagne! ps - don't forget Heaven 17 also have a new and previously unreleased track on the RememberTheEighties.com album 'This Is Not Retro' and the track will not be on the band's forthcoming album! The godfathers of Dance Pop, Heaven 17, are back with a brand new album of UK synthfunk. Going back to their DIY beginnings Heaven 17 got together with Angie Brown and Billie Godfrey and recorded several tracks over the course of 2001. The result of these studio sessions, their first studio album in 8 years, was completed on September 11 2001 the day the New York landscape and psyche was changed forever with the attack on the twin towers. The name of the album, BeforeAfter, and the artwork refer to this brief moment in time that has had such a profound effect on so many people. Lead Singer Glenn Gregory puts it succinctly: "An album made with no restrictions, no pressure, no time limits, no interference, no prying ears. Just us, in a studio doing what we enjoy doing best. Creating new Heaven 17 songs." Heaven 17 was first formed in the early 1980s when the original line of the Human League fell apart. Martyn Ware and Ian Marsh hooked up with childhood friend Glenn Gregory and released their first classic single "(We don't need this) Fascist Groove Thang." UK hits like "Temptation" and " Come Live With Me" followed. The band also hit the US dance charts with hits like "Let Me Go" and "Contenders." Now they are back with a fresh yet timeless sound.  The world's biggest eighties newsletter - read by FIFTEEN THOUSAND people EVERY WEEK!  The world's most popular eighties news resource - around ONE MILLION hits every MONTH!  Exclusive new interview with ADAM & THE ANTS online now! The hugely successful website RememberTheEighties.com - dedicated to reporting on the ongoing careers of the artists who shaped the eighties - has launched its own record label, THIS IS NOT RETRO. The label will echo the aims of the website and specialise in releasing NEW material from the bands and artists who helped define the eighties-era. The first album release, entitled 'This Is Not Retro - The 80s Up To Date', is a nineteen-track compilation of new and recent material - including SEVEN tracks commercially available for the first time - from nineteen of the eighties most enduring acts, and will be released on 4th July 2005. As a special thank you to visitors to RememberTheEighties.com THIS IS NOT RETRO will be producing a limited edition of the album which will feature uniquely personalised album artwork for anyone pre-ordering a copy of the CD. Personalised copies will be available for pre-order for a 2 week period from 15th June 2005 - full details will be on the website at www.remembertheeighties.com. MIDGE URE (Ultravox) - What Would You Do (Skin)? Since its creation in 2002 RememberTheEighties.com, the highly successful web site and information service, has become THE leading authority on the current activities of the music artists who enjoyed success in the 1980s. The site attracts around a million hits every month and runs a email newsletter which reaches over 15,000 people every week. The site carries the latest news from artists across all genres as well as interviews, tour dates, competitions, new releases and reviews. RememberTheEighties.com is also extensively used and credited as a trusted news-source by journalists, radio and TV researchers and online media around the world. In 2004 the site was approached by the international music TV channel VH-1 to help fill US and UK venues with fans of the artists featured in their popular 'Bands Reunited' series, achieved usually with only 48-hours notice. This year RememberTheEighties.com was the exclusive online sponsor for Tony Hadley & ABC's recent 62-date tour of the UK. RememberTheEighties.com and the This Is Not Retro label are the creation of Richard Evans, a former London Records (International Promotions Manager then UK Product Manager) and MTV Europe (Senior Manager of Talent & Music) executive who has run creative direct-marketing consultancy The Fan Base Marketing Co. since 1998, conceiving and executing campaigns and providing a range of related services for a range of artists and labels including Robbie Williams, Coldplay, Feeder, Skunk Anansie, Duran Duran and Ozzy Osbourne. It seems like quite a good time to announce that my compilation album 'This Is Not Retro' is now available to preorder at my website www.remembertheeighties.com... featuring the new Heaven 17 track 'This Is Not My world' (which will not be on the forthcoming H17 album)! Preordering the album allows people to get a unique limited edition version of the album which will be personalised to you - more about that on the website too! We are The Transmission (formerly (Autez Cray) from Rugby, U.K. We would like you to listen to our demo at www.purevolume.com/autezcray or www.mixposure.com we are on the homepage under "Whats Hot". We would love to know what you think and feel free to pass this email onto anyone who make enjoy our style of music. The band are working on new stuff,a new line-up and dates for the coming months. Please keep in touch and thankyou for your time. I thought you and your readers might be interested in my new book Rip It Up and Start Again: Postpunk 1978-84. Based on over 125 interviews, its a panoramic survey of the seven year period following punk, taking in everything from PIL to ABC to ZTT, from industrial and 2-Tone to synthpop and goth. For more information check the Rip It Up and Start Again site at www.simonreynolds.net which will soon feature extensive footnotes to the chapters, transcripts, links, etc. ... having just finished my new single it crossed my mind that it may well appeal to lovers of Heaven 17, as a long term fan myself i wrote the track on an ananlogue korg ms10 and a moog prodigy ang perhaps owing to the political content/message it does indeed tribute Heaven 17/Human League especially Facist groove thing/Being Boiled. i am quite happy to pay respect to both these amazingly influential tracks, where have all the brains gone in modern pop writing? i was thrilled with the political overtones as a kid and happy to follow suit...but it still got to sound good! i wanted to offer the track as a free download to all your subscibers, of course that will alert people to my music, but i think some of them will like it. This comprehensive 300 page book features interviews with all the main players from that time; Phil Oakey, Martin Fry, Chris Watson and many others giving a detailed recollection of that special time in pop history. The book has plenty of photo's, posters and other memorabilia and also includes a free cd. It's a great book for the sheffield music Lover and a perfect compliment to Made In Sheffield. More info and excerpts from the book can also be viewed on the website. 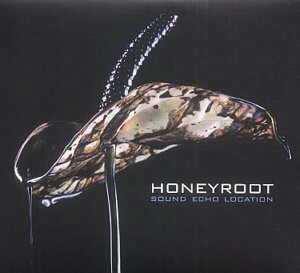 28Jan2005 New single from Honeyroot - Love will tear us apart. Thought you might like this. It's on an private album by my partner Glen. Webmasters remark 1: Very interesting, thanks a lot ! Webmasters remark 2: If you like the song and want the 5MB big original stereo, just send me an email and cleanup your inbox to receive a mail this big.